Not just music but change is in the air for the Formations de Chambre des Pays Catalans. For 2014 the Céret-based music association sees Christian Papis take over the role of Artistic Director. Plans are already well advanced for the Automne Musical en Vallespir music festival in October, and the programme of concerts will be announced shortly. Christian’s original musical training was in the saxophone at the Conservatory National Superior of Music in Paris, but his talent for singing was quickly discovered and he became one of the ten foremost tenors in the world. His career in opera saw him performing in Europe’s leading opera venues, including La Scala, Paris Opera, Berlin, Madrid, Venice and Glyndebourne, London, Vienna, Geneva, and singing under the direction of famous names including Daniel Barenboim, Andrew Davis, Riccardo Muti and Georges Prêtre. Christian’s voice has featured on numerous operatic recordings; he has appeared on television and made films. 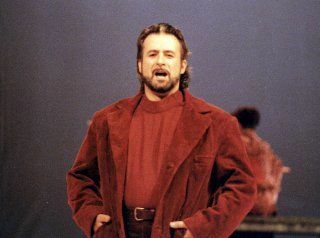 After working alongside Pavarotti, Domingo, Carreras, Alagna, Dessay, Berganza, Van Dam, Hampson, Ramey, and many other stars of the operatic world Christian Papis singing career was cruelly cut short by a medical problem. In recent years this has led him to bring his wide experience to teaching at Musikthéater of Amsterdam, Maastricht, Stadtsoper Frankfurt am Rhein, at a number of Conservatoires, most recently Schola Cantorum in Paris, Bordeaux, Nantes and now, since 2010, in Perpignan where he is Professeur de Chant. On a more personal level Christian is an enthusiast for many different musical forms – from jazz to baroque, from opera to flamenco guitar, oratorios and recitals for lyric voices. This will be well reflected in the variety of concerts that will be proposed for this year’s Automne Musical en Vallespir music festival. His experience during 35 years on the international music scene will open an exciting new chapter for music fans in the PO.